On Sunday, Prime Minister Zoran Zaev of Macedonia said he was “optimistic” and expected an agreement to be announced “very soon.” Last Wednesday, he said that any deal would be put to a referendum in the fall. He spoke after his Greek counterpart, Alexis Tsipras, said that increased cooperation between Greece and Balkan countries would thwart aspirations by countries like Turkey for dominance in the region. But there is strong opposition to a compromise in Greece. Panos Kammenos, the Greek defense minister and Mr. Tsipras’s right-wing coalition partner, has said his party would not support a solution that allowed the Balkan nation to continue using the name Macedonia, and he declared, “The Skopjans are living with the myth of Macedonia.” But some question whether Mr. Kammenos would risk political turmoil at a critical moment for Greece, which is set to exit its third international bailout in August. 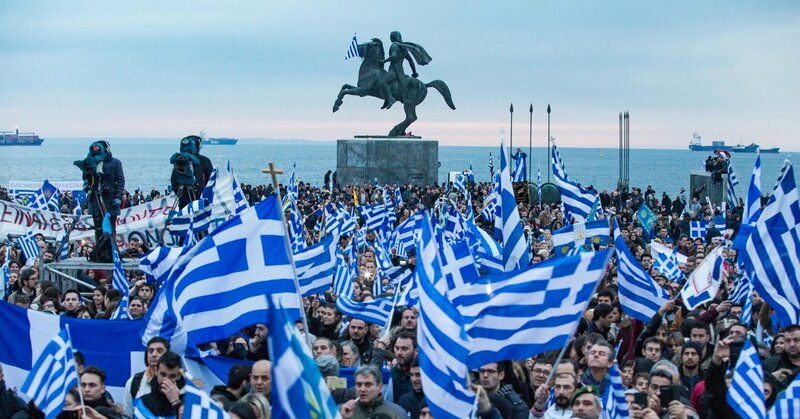 Recent surveys in Greece on the issue indicate that opposition has eased, with about half of those polled objecting to letting the nation of Macedonia continue using the name, compared with 8 out of 10 earlier this year. Greeks are apparently more concerned about potential irredentism by Turkey, a traditional foe, amid a recent deterioration in bilateral ties, surveys suggest. Still, for Greeks, besides stoking fears about potential threats to the nation’s territory, the Macedonia dispute touches on issues of identity, culture and history.